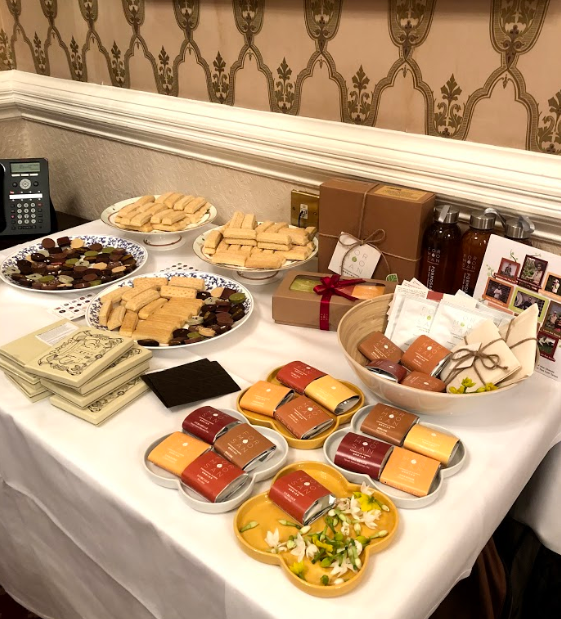 On February 8 2019, guests were welcomed by the Taipei Representative Office in the UK to the historic National Liberal Club in London to a tea-tasting ceremony, held in celebration of the Lunar New Year of the Pig. The event was held by Taiwanese social-entrepreneurship company Formosan Farms, which collects and co-works directly with 15 independent tea farms for hand-picked, hand-processed and organic tea from Taiwan. Prominent figures from art and culture, the press, academia and Taiwanese community were in attendance, alongside senior members of the diplomatic corps based in London. In his opening speech, Representative David Y.L. Lin spoke about how tea is an integral aspect of Taiwanese culture. Representative Lin highlighted the positive work that Formosan Farms was doing by promoting Taiwan’s organic tea farms, and that he hopes a tea-loving nation like the UK can experience Taiwan’s tea culture & enjoy its splendid and refreshing teas. Guests were invited to try nine of Taiwan’s exquisite teas, all sourced from single-origin, small tea farms with an emphasis on traditional culture and familial legacy, whilst Tea Master Dr Yvonne Han explained her unique brewing techniques, and what gives each tea its special flavour. For more pictures, follow this link to a gallery of the event.